After a recent television interview on the prescription of cannabis to patients from Luxembourg Dr. Jean Colombera, physician and member of the Luxembourgian Parliament, is prosecuted due to the violation of the narcotics law. 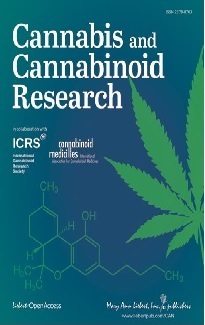 Dr. Colombera is chairman of the UFCM (Union Francophone pour les Cannabinoïdes en Médecine; French Speaking Union for Cannabinoids in Medicine). He is prescribing cannabis to patients since 18 months, who get their drug (Bedrocan, Bediol) in Dutch pharmacies. The Health Minister of Luxembourg is upset by the behaviour of Dr. Colombera. He has decided to make public his action to shed light on the actual situation, Dr. Colombera said in a statement. He is now accused to have prescribed and imported illegal substances and to have prescribed too high amounts. He is now unable to continue the prescription leaving several of his patients in a difficult and sometimes desperate situation. The Californian Governor Arnold Schwarzenegger signed a bill reducing penalties for possession of cannabis, saying it will help conserve "limited" court resources. Schwarzenegger, who opposes a referendum that would legalize recreational use of cannabis, signed the bill on 30 September. Beginning on 1 January 2011, the law reclassifies possession of an ounce (about 28 grams) or less of cannabis from a misdemeanour to an infraction, with violators subject to fines of as much as 100 US Dollars but no jail sentences. "Notwithstanding my opposition to Proposition 19, however, I am signing this measure because possession of less than an ounce of marijuana is an infraction in everything but name," Schwarzenegger said. "In this time of drastic budget cuts, prosecutors, defence attorneys, law enforcement, and the courts cannot afford to expend limited resources prosecuting a crime that carries the same punishment as a traffic ticket." In January 2010 the former Governor Jon Corzine signed the legislation allowing the medical use of cannabis in New Jersey making it the 14th state of the USA to allow patients to use the drug. However, getting into New Jersey’s medical cannabis program will be tough: Patients must have one of nine diseases or conditions and their doctors must have been treating them for at least a year, seen them four times and be willing to vouch that traditional forms of relief have failed. 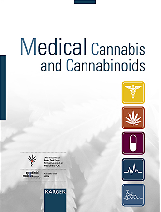 Once they pass the scrutiny of a state-appointed review panel, patients can either go to one of four dispensaries or arrange to get their medicine delivered to their home, according to the state Department of Health and Senior Services, which on 6 October released the highly anticipated rules for what patients, advocates and lawmakers call the most restrictive medical cannabis program in the country. Patients are expected to start getting cannabis not before summer 2011. The Health Department will select just two growers to supply four non-profit dispensaries.